There’re much more dark movies based on comic books coming. Venom is already on the way to the cinema, and Spawn movie was just announced. 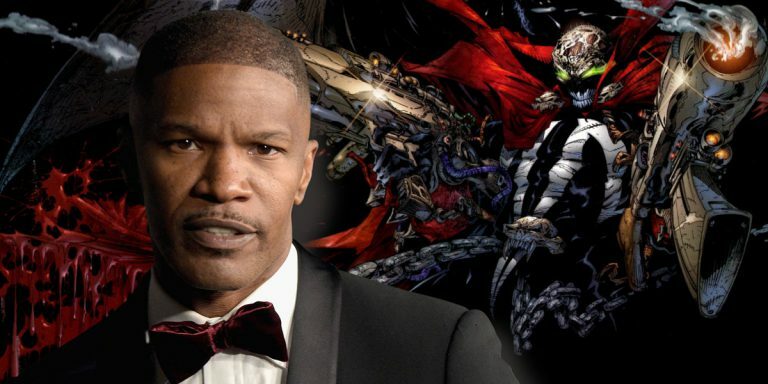 Director of the movie, Todd McFarlane is collecting Spawn movie cast, in which Jamie Foxx will play the main role! Spawn is about colonel of the United States (in the movie as CIA agent), Al Simmons. After assassination on him by own supervisors, he made a pact with Satan (Malebolgia). All gave his soul the devil in exchange for another opportunity to meet his wife again. However, his soul received a psycho plasma body and his new main goal was to stand at the head of Satans army. But Al wasn’t aware of that his presence in hell had lasted for 5 years and at that time his wife married his best friend Terry Fitzgerald. Roused by anger and the consciousness of lost life, he started his vendetta. For movie needs, Jamie Foxx was chosen for the main role, titled Spawn. As Todd McFarlane stated, Jamie Foxx came to him 5 years ago and spoke about Spawn. Now with movie director, he will be responsible to gather Spawn movie cast and its realization.